Gathering up with your friends around the Portland area for a little getaway conversation, some adult drinks, and live entertainment are some of the perks that being in adulthood is all about. Due North, East, South, and West of Portland, there are so many great locations to enjoy a wine bar and drinking with your lads and ladies. Part of requirements when hosting these wine events includes having a sense of exquisite luxury while attending. Often being the higher class of people at these events, valet parking should be highly considered to have at your location. Give us a call at (503) 741-2322 and get valet set up for the next time you go out. Most car accidents when going to and from an event where there is alcohol involved takes place in the parking lot. If you are expecting a solid number of people to show up, parking might be a little jam packed. It's not necessarily a good look for your patrons to attend the event and have to search for a parking spot, and then when leaving after a couple of drinks, become frustrated when they are having a problem finding their car. 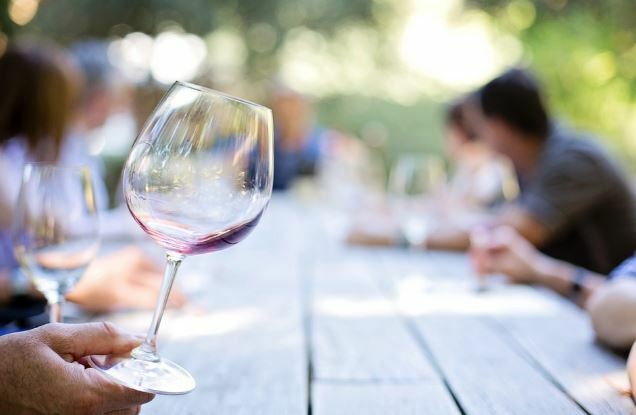 And in the worst possible scenario, the drinks may inhibit their driving skills and you certainly do not want to have a car accident take place on your property when it could be easily avoided by having a valet parking company work your wine testing events. ​If I'm being honest, my favorite kind of person to valet a car for is an excitable person. And if we're still being honest, people with a little bit of adult juice in their system are the most exciting to be around. Our valet company is going to make your wine bar guests have a delightful time without the stress of having to find a parking spot, then later have to find their car. We pride ourselves as the best drivers under 10 miles per hour, and with a valet company working your event, we can practically guarantee that there will be bumps, dents, and scratches in the unfolding of the wine party day. There are many locations in, and around the Portland Metro area that we have provided our services for the wine tasters. Of the many options to host your wine party, you can have valet parking: Abbey Creek Vineyard, Renaissance Wines, Wine & Growl, Tiggard Wine Crafters, Dion Wines, Ardiri Winery and Vineyards, Oak Knoll Wine, Elk Cove Vineyards, Williamette Valley Pinot Gris., Ponzi Vineyards and Winery. SakéOne, Plum Hill Vineyards, Cooper Mountain Vineyards, Fullerton Wines, J. Albin Winery, Freja Cell, Primrose and Tumbleweeds, Montinore Estate, David hill Vineyard and Winery, Provincial Vineyards, Oregon Wines, Blakslee Vineyard Estate, Anam Cara Cella, Raptor Widge Winery. Each of these events could manage a valet parker, or two, or few, so after scheduling your visit to these wineries, either suggest the winery supply Valet Parking Portland, or hire us yourself! Call us today to schedule our services (503) 741-2322.